How To Repair A Damaged Front Lip.....The Easy Way! Ever hit that dip in the road and heard that unforgiving CRUNCH of your front lip. Well, it happened to Evan in the #throtl36, and Mickey decided to take on the task of repairing it. 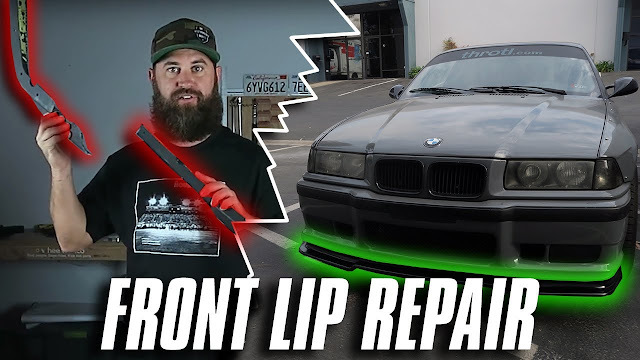 In this video, Mickey goes through the steps to easily repair that damaged front lip. Hopefully, this will come in handy for you next time you hear that awful CRUNCH! Don't forget, only 13 days left for a chance at FREE AIR SUSPENSION! Click the link below to learn more.